Get your name on a jersey next to the superstars with this one of a kind, 11 x 14 Detroit Lions Personalized Locker Room Print! The name of your choice will be digitally imposed on a jersey, and on the plaque above the jersey, in this framed photograph. Choose a name up to 12 characters long for the jersey and up to 14 characters long for the plaque. 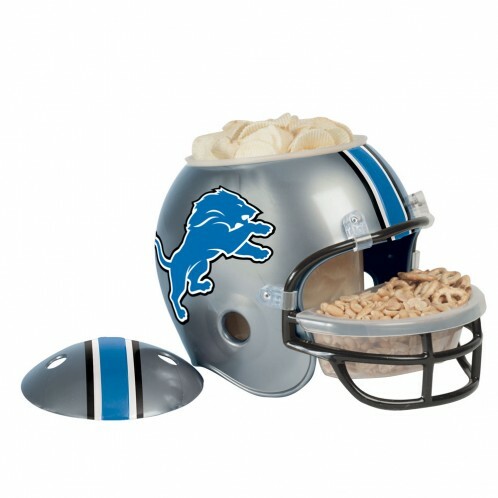 This is the perfect gift for the fan of all ages. 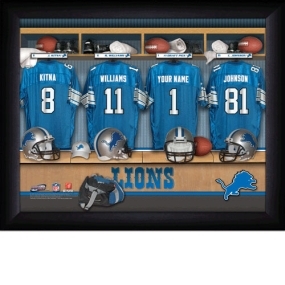 Get your Detroit Lions Personalized Locker Room Print today! "I used to be hesitant to order things over the internet. Not any more. Thanks for a great experience!"